"Cool!" 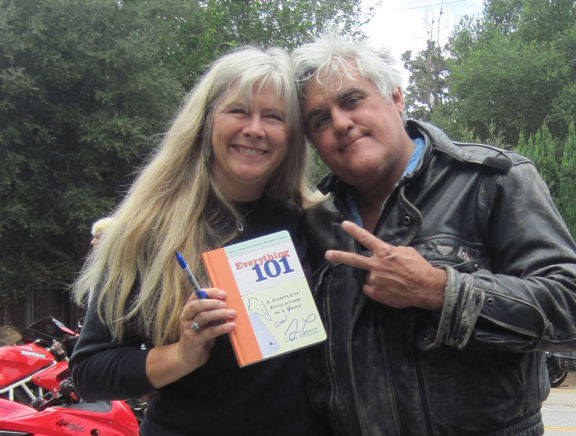 – Jay Leno, at Rock Store book-signing. , and traveler extraordinaire, "
Filled with info that makes you feel like an MIT grad or perhaps a stand-up comic." Everything 101 is in Barnes and Noble stores now. If not, please ask the store manager “Why?” or “Why Not?” (Both are acceptable queries.) You can also order hard copies of the book online now by clicking HERE. Whether or not you have a NOOK, you can order an e-book. It’s cheaper and can go wherever your cell phone or electronic reader or computer goes! Make your smart device even smarter! 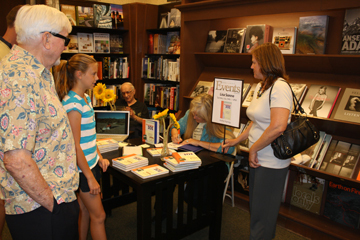 If you would like to arrange for a book-signing party, write to Everything101@Sonne.org. If you would like to consider being included in one of Sonne’s future anthologies of knowledge nuggets and “Wow, I didn’t know” morsel collections, please email her with the profound and silly at WOW@Sonne.org. Please provide two sources to confirm your contribution and include how you would like to be listed in the acknowledgements. 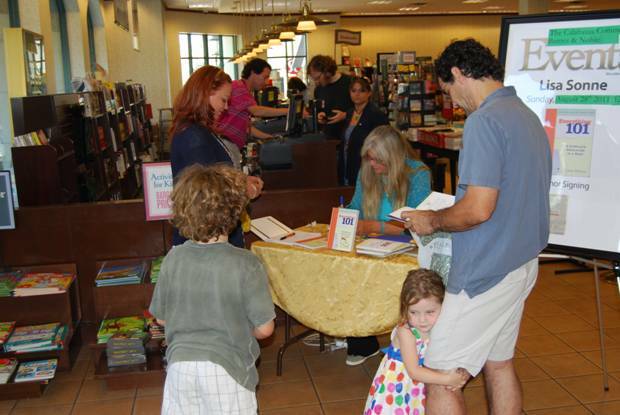 Tastings of Knowledge & Treats - Page-a-Day Views with Gourmet Chocolate & Gelato all summer, 2011.